I’m not sure what’s in the air, or if it’s just the sheer fact that it’s cardio week at MADabolic, but I feel hungry all the time. ALL the time. I’m usually slow to start in the morning, not grabbing any real food until I’ve had ample time to get coffee, settle in, and assess the schedule for the day. This week, I have one objective, and it’s to get food into my body. While vacation is great in concept, any travel where there’s no kitchen is always challenging for me, so the last few months have been hit or miss for me. My first destination when I got back into Charlottesville was to hit up the grocery store, and I did just that — hard. Whole Foods here (and maybe everywhere?) has this awesome kale slaw in the juice / chopped veggie section that also has shredded cabbage, carrots, broccoli (sometimes) and green onion that I seriously can’t get enough of. I’ve historically used it to make salad and sides for dinner, but it just so happened that I was craving it one morning, so I went hot with it. Sautéed in some coconut oil ad seasoned with a little sea salt, my little green friends made a turn for the even more delicious, and perfectly accompanied my eggs. I’m calling this ‘green eggs and BAM’ because it was totally a power breakfast that I needed to get myself going. It’s going to quickly become clear that I was loving on kale this week, but I’m still not sick of it, so no apologies here. The thing that really started my love affair with kale was it’s amazing relationship with all things citrus, and the fact that you can absolutely douse it in lemon/lime/orange juice based dressing and it didn’t become slimy or sad. 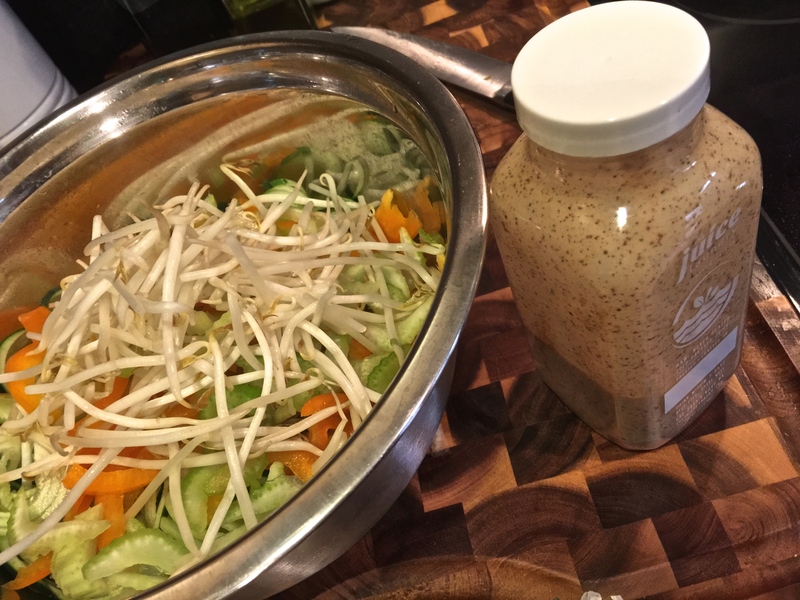 In fact, while it does soften (thankfully), it seriously takes on the flavor and tartness of the dressing, and that always makes everything more delicious. 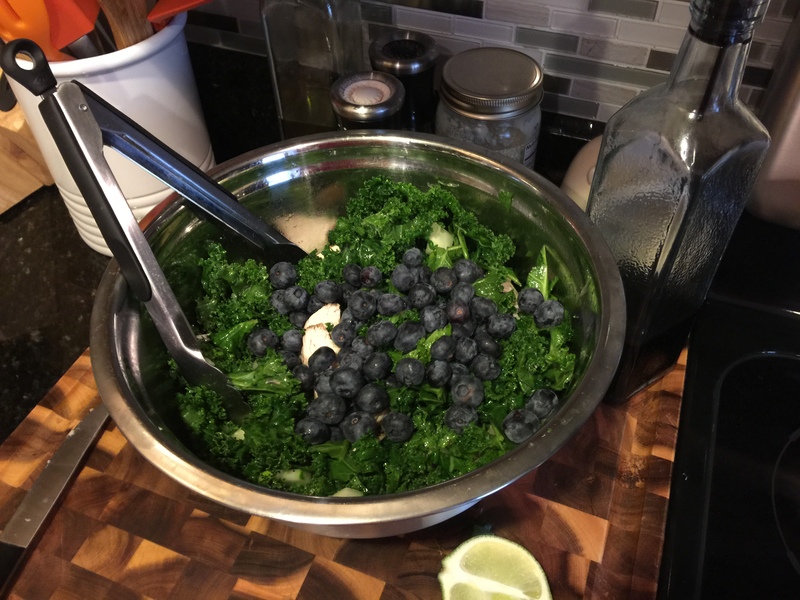 This salad wasn’t anything particularly special; just kale, blueberries, cucumber, and some leftover grilled chicken to give it a little boost — but to be honest, it didn’t need anything else [the dressing was fresh squeezed lemon juice, olive oil and sea salt sprinkled]. It stood just fine on it’s own, and was a great partner for my new favorite thing: sweet potato noodles. I’ve long been loving on zoodles and spaghetti squash, but I never really took the time to dive hard into the sweet potato arena. I think this ignorance was in part because the first time I did 28 to Life I convinced myself that sweet potatoes were on the naughty list (I was later corrected….but not until much much later). 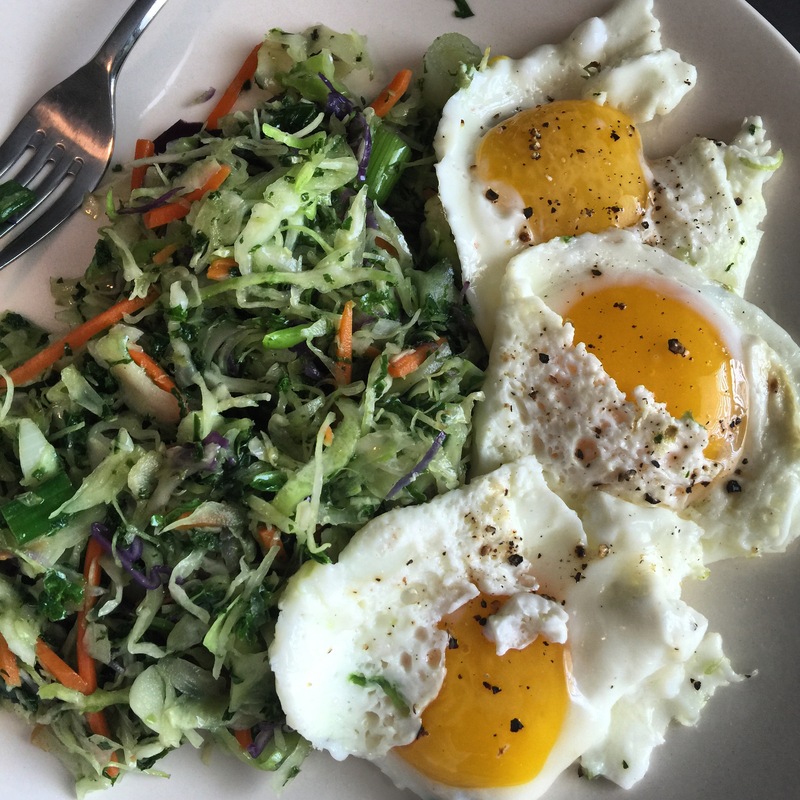 Recently I’ve been seeing more and more meals pop up on blogs, and also on MODpaleo’s menu that are centered around them, so I figured it was worth a shot. And worth it, it most certainly was. I sent those sweet P’s through the spiralizer and then sent them straight into a pan with some ghee (yeah, it’s butter folks, and it was delicious). In case you can’t tell, just writing about this meal is making me hungry all over again, so I definitely recommend it. I also recommend the (RED) meals on the MODpaleo menu, because they’re amazing too [and friends that use the code MadnessCville get 10% off their first order, so get after that…stat]. 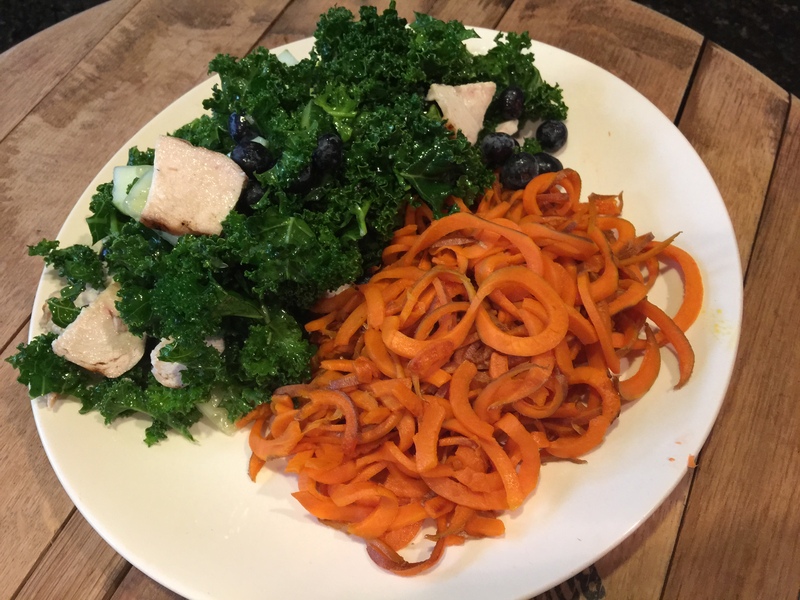 I did get after it again with the spiralizer again, with an awesome new thai cucumber noodle salad that I made last night, but that one is going to have to wait because it was too good to rush through. Now that I’m back to cooking and feeling a little more food-stable, I’m pretty excited to start playing around with some old favorite recipes and clean them up – at least as much as is reasonable. I’ve got a goal to make one new recipe each week, minimum, and hopefully by the end of the year I’ll be rolling through a whole new cycle of favorites. But who knows, if I stay hungry like this I’ll probably hit that full 52 new recipe marker a lot sooner than I projected. If you’ve got any favorites of your own, shoot them over — I’m most definitely taking suggestions.